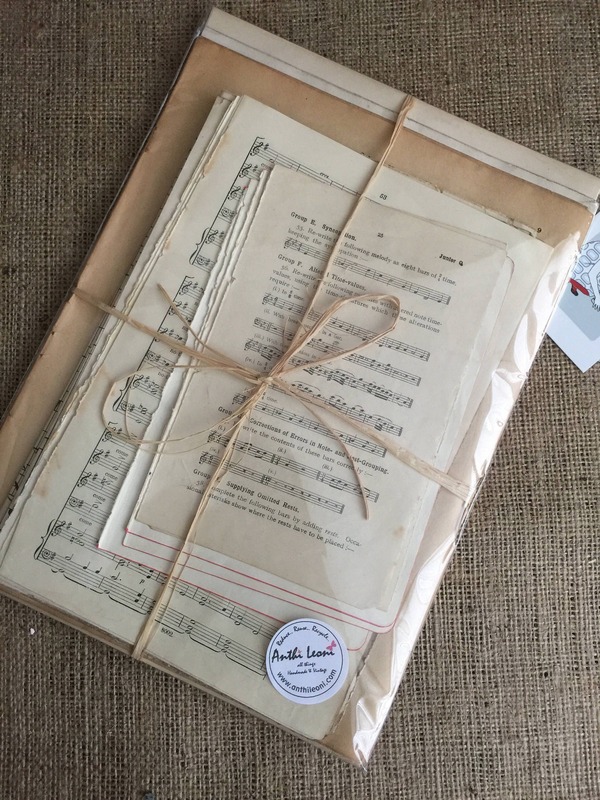 A gift pack of old music paper, hymn pages, musical notes paper for crafting, decoupage, scrapbooking, junk journaling, wedding confetti and much more! 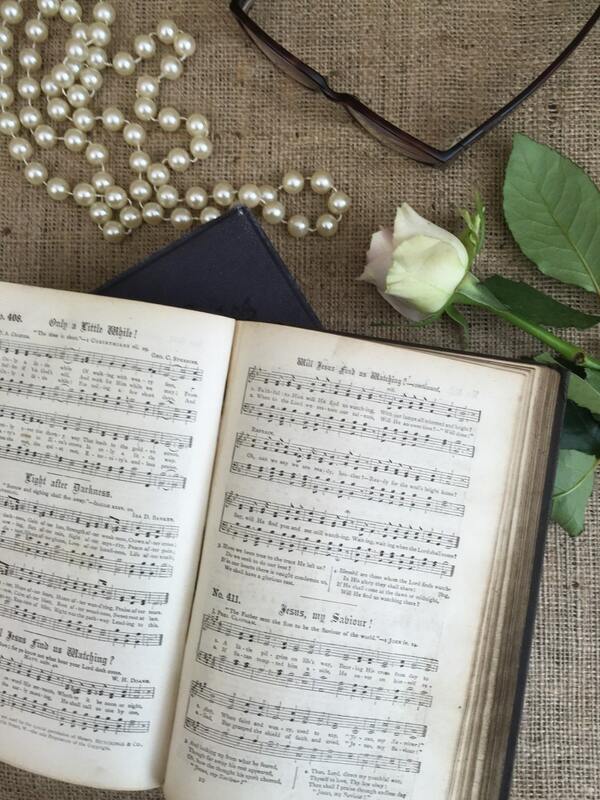 Salvaged from old antique and vintage, music books, song books, hymn books and pamphlets from 1900's-1970s. 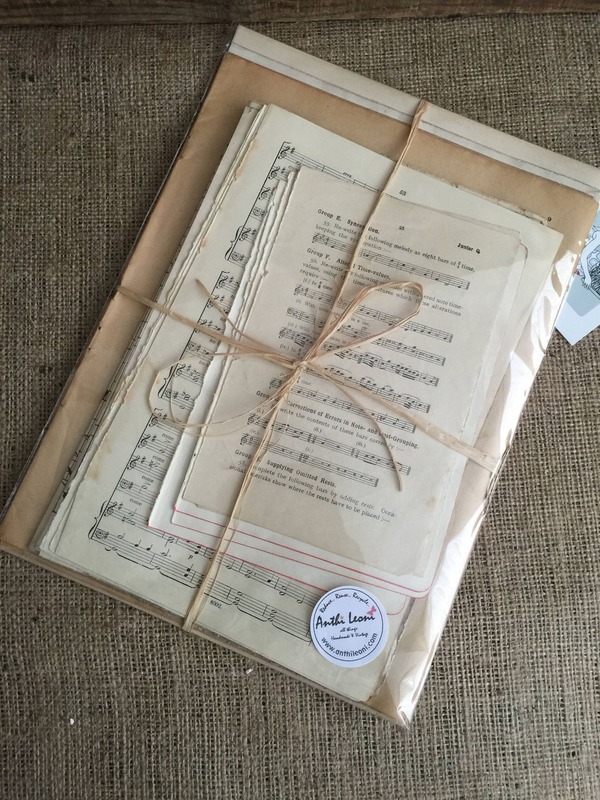 If you love to paper craft, scrapbook, journal or decoupage then you will love this dedicate music pack. 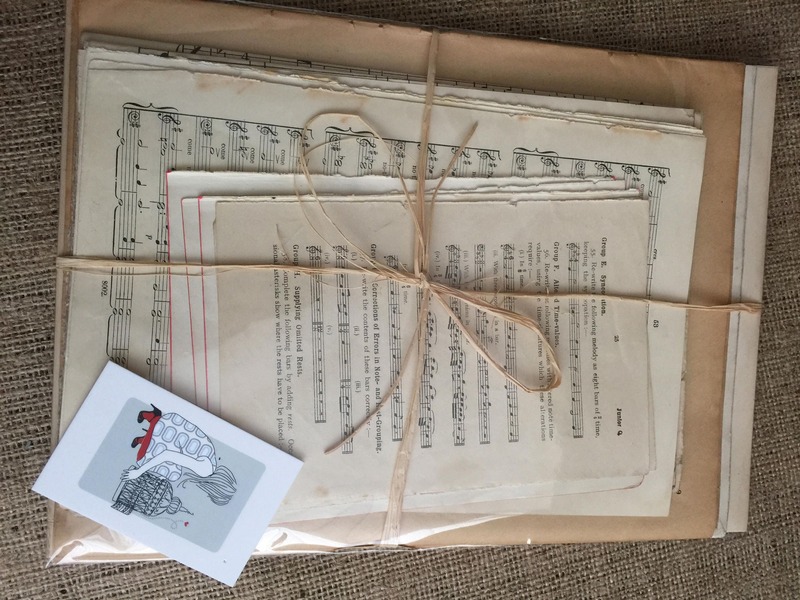 Packs are ready to ship so just add to your basket and checkout it's that easy! 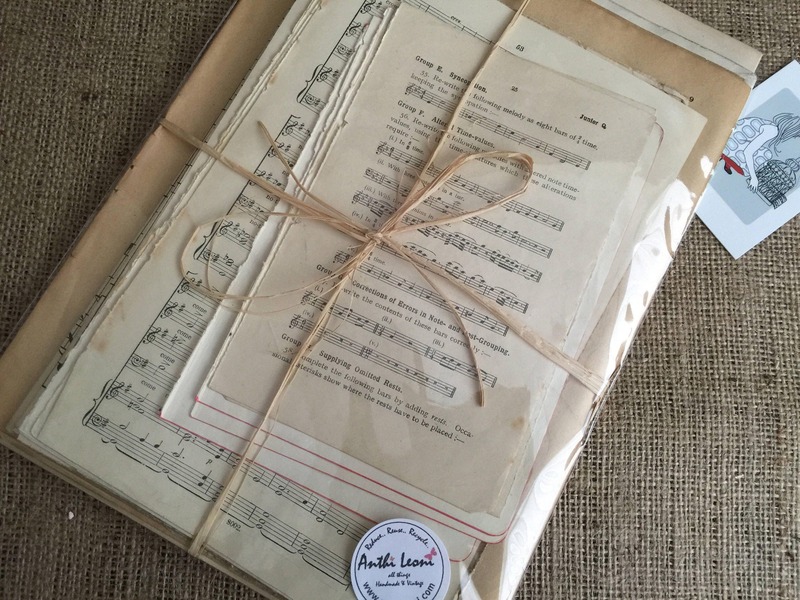 + Each pack has been arranged, tied in raffia and packed in a cellophane reseal bag for presentation as a gift. + Page sizes range from A5 to A4 and large. The larger sheets have been folded to fit. + No two packs are identical. 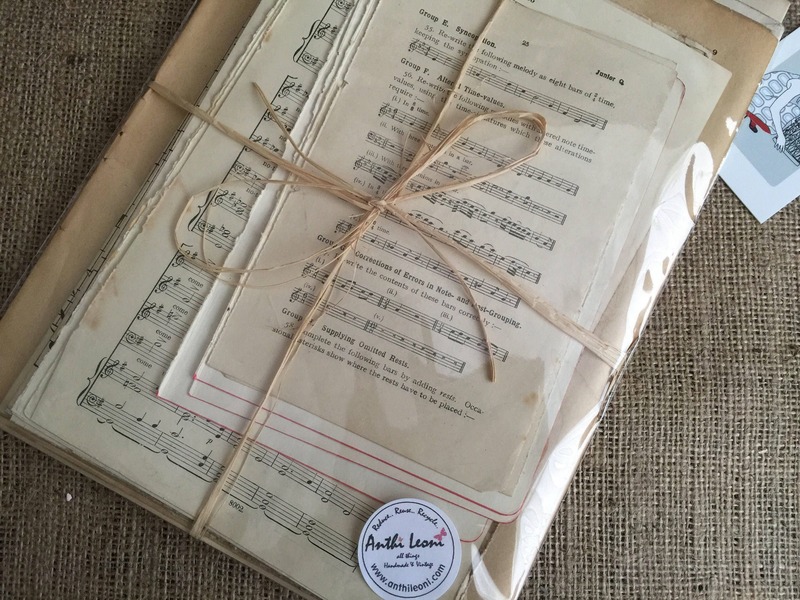 + Each pack has a variety of music paper type. 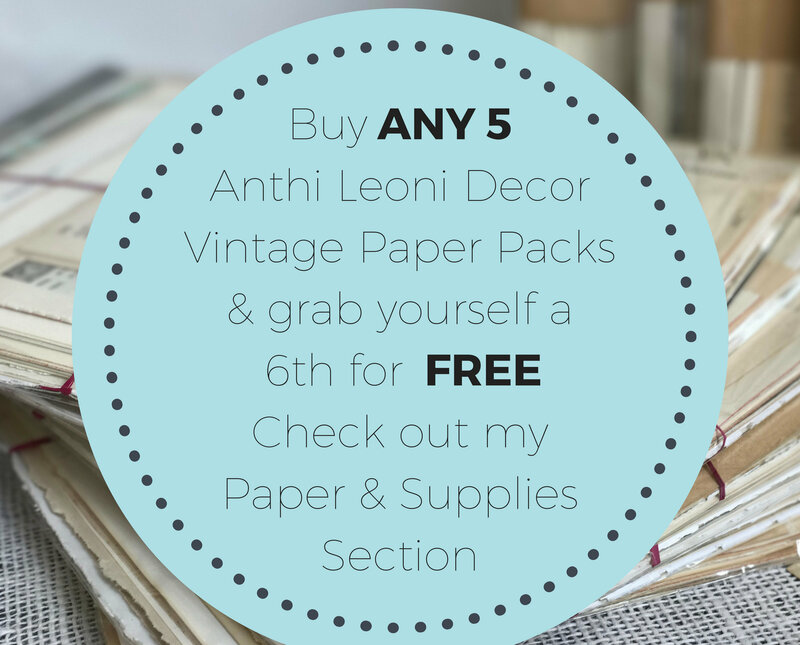 Pages may contain yellowing, creasing, staining and some may have small tearing. 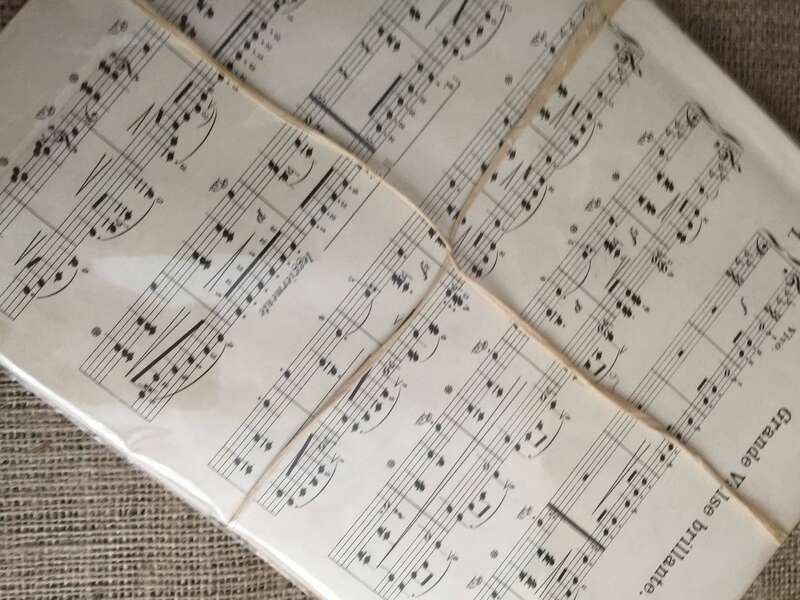 Pages have been ripped and separated along the seams and may have tiny puncture marks where the old string binding has been removed. This gives the pages their charm and makes each page unique. Super collection, will be used for collage and art journaling. Very happy with the service from Anthia. Nice selection of pages. Shipped very fast. 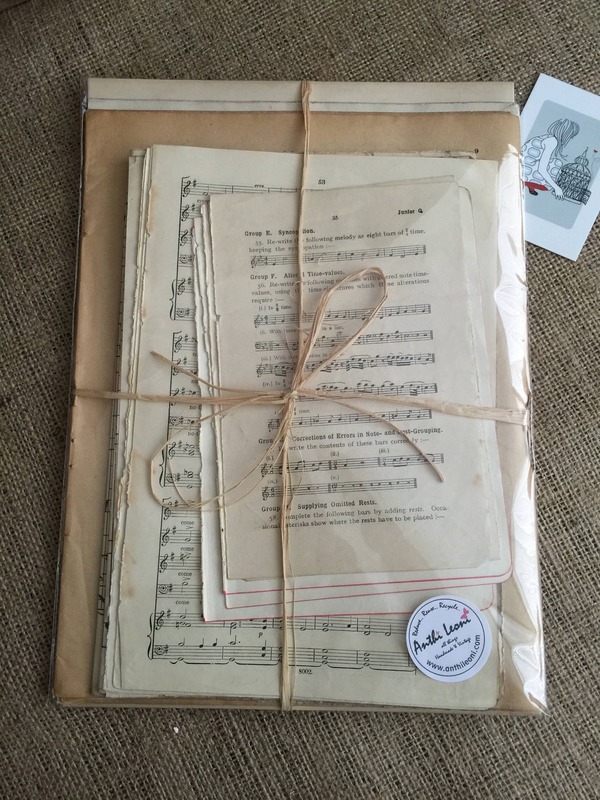 Was very pleased with purchase from this seller and would highly recommend.